It’s another gray, wet, and dreary day and my three-year-old and I are staying home, so I again went to Pinterest to look for fun ideas. Today I found one quickly: Mad Science, a perfect activity for J. What child doesn’t love the chance to mix, create, and see what happens? Usually we’re cooking together where there isn’t much room for creativity. Today J kept asking, “Can I do/mix/try this?” Yes! Mix anything you want! This activity is super easy to prepare. 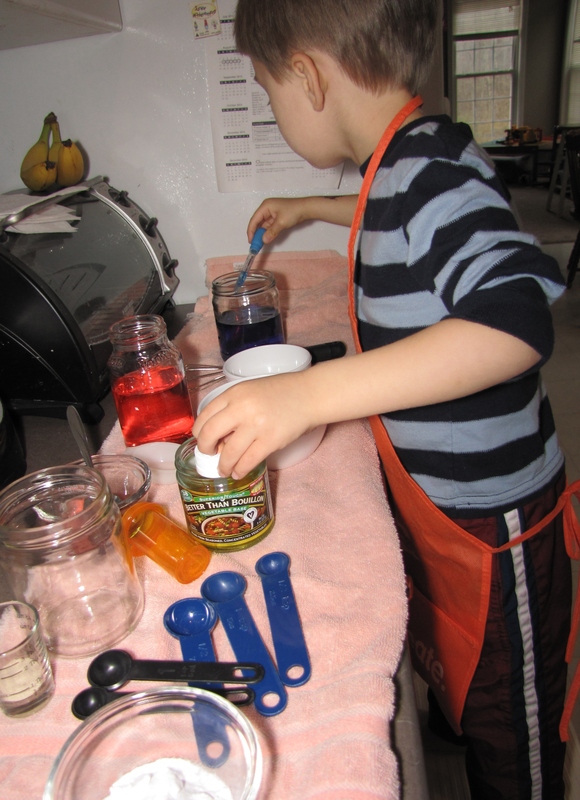 Grab jars, bowls, measuring spoons, stirrers, droppers, etc. 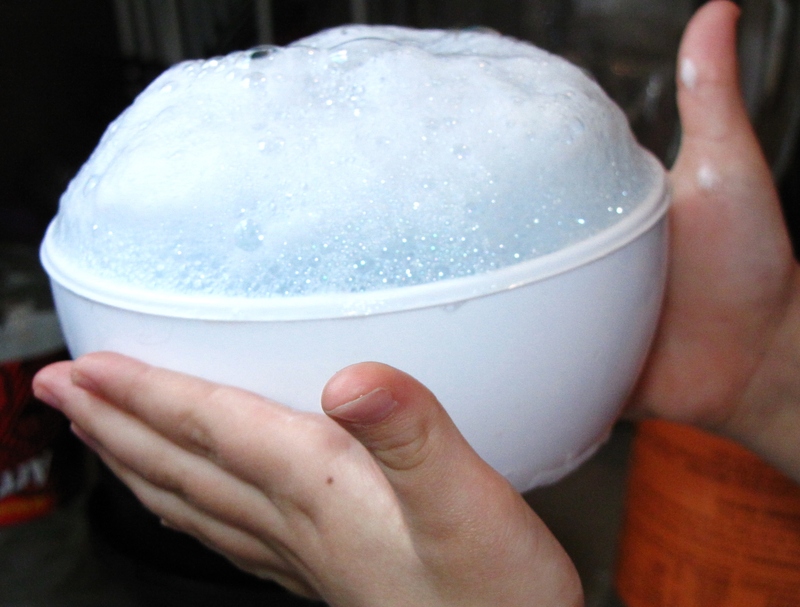 Then add goop to mix: colored water, vinegar, baking soda, shampoo, etc. I also used salt and yeast. Next time I think I’ll include lemon juice; there will be a next time. Maybe we’ll do this over spring break…I think all three would all enjoy it, even my twelve-year-old. I’m sure he will come up with the most creative concoctions! 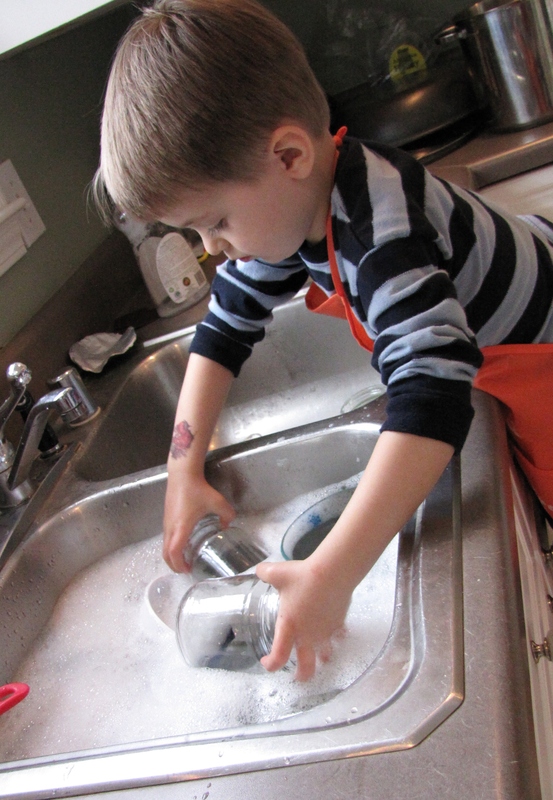 Then as a bonus, J did most of the clean-up: water play!